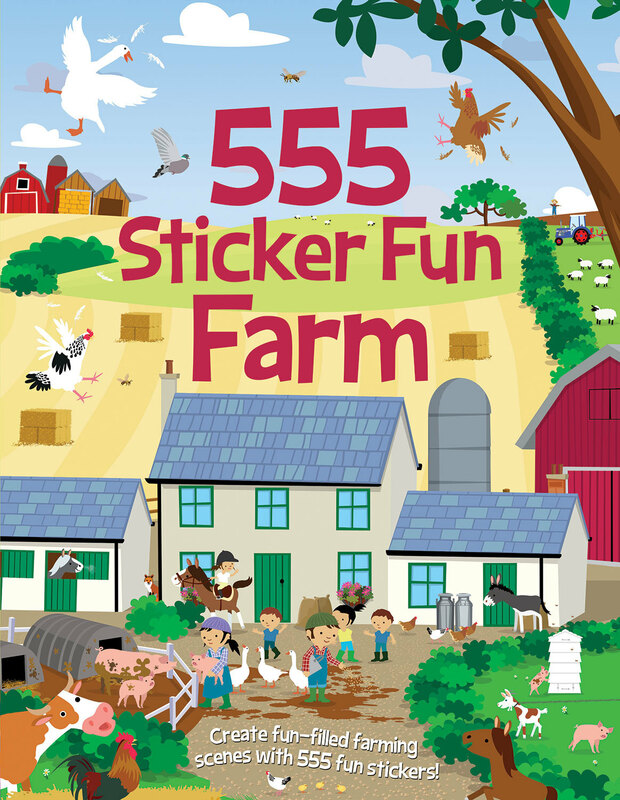 Written by Joshua George and illustrated by Dan Crisp, 555 Sticker Fun Farm features simple, humorous text which sets the stage for busy down on the farm action scenes. From escaped animals, ploughing and sowing crops to bad weather mishaps and favourite cows, sheep, pigs, horses and chickens, readers can complete the scenes for farm-themed fun using the hundreds of stickers that are included. Plus there's a sneaky fox hiding on every page for eagle-eyed, young sticker fans to spot. 24 action-packed scenes and over 500 stickers in each book! Over one million 555 titles sold worldwide! Joshua has been writing since 1987 when (aged 5) he wrote an incredible tale about a crime-solving duck. Both Joshua and the duck still live in rural Suffolk, and they remain good friends. Dan Crisp lives in West Yorkshire, UK, with his wife Isabel and their children, Tom, Matilda and Caleb. As well as enjoying writing Dan is a professional illustrator and studied illustration in Sheffield and at The North East Wales Institute. He loves illustrating and enjoys karate, the outdoors, cycling and hiking.